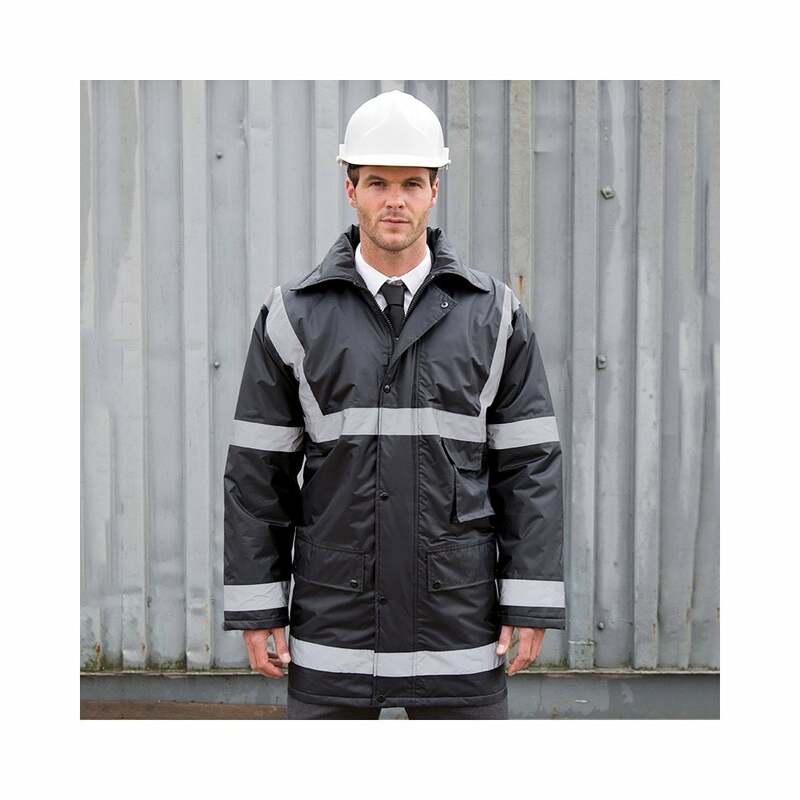 Result Work Guard Management Coat this is a water proof and wind proof coat that is made from oxford nylon with an acrylic coating. It has fully taped seams, concealed hood in collar and can be screen or transfer printed. 2 classic colours available.